This country is at the forefront of the experimentation which was proved by the results of the trials made by Ukrainian doctors. We shall now go back to 1998 when Dr. Woerly requested permission to operate on human beings with FDA, the US Food and Drug Administration, which is the body responsible for authorizing the marketing of drugs. The requirements were found to be complicated, slow and too expensive for this revolutionary product. The inventor therefore went to France, where in 2002 at the initiative of Jean-Yves Crenn an association for paralysed people and their families was created and named Association “Neurogel en Marche” (articles submitted to the sub prefecture of Chateaulin). The aim of this association was to assist financially Dr. Woerly, and to support the implementation of a project on human beings by making required tests. After a public demonstration of the Association in Paris which led to contacts with Health officials, it turned out that in France the situation would also be long and complicated. The “Neurogel en marche” Association then experienced several ups and downs in its operations. Dr. Woerly turned to other areas of medical research. Jean-Yves Crenn got in touch with several former colleagues of Dr. Woerly cited in scientific publications. Thus one of these contacts brought him to Dr. Pinet who he met in Canada. Former head of laboratory of Dr. Woerly, Dr. Eric Pinet had also turned successfully to other areas of research after administrative disappointments of Neurogel in North America. 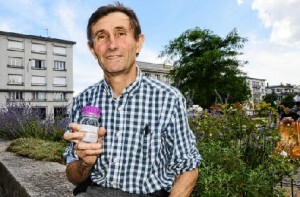 But convinced of the importance of the discovery, and interested in working for success of its humanitarian purposes, with the new momentum that it could bring to “Neurogel en marche” Association, he promised Jean-Yves Crenn to go back to manufacturing the product, which was in parallel to his own work. In June 2005, he informed Mr. Crenn that he had managed to recreate exactly the same product.